Algonac Blind Cleaners, “Blind Cleaning Services” has been helping customers get both commercial and residential blind cleaning services for several years. We specialize in blind and drapery cleaning services, blind repair, and blind sales. 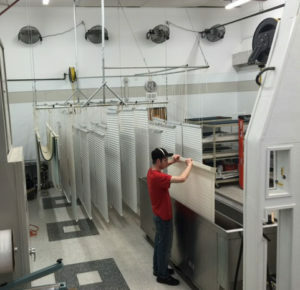 We offer ultrasonic blind cleaning in Algonac and the surrounding area. We are Hunter Douglas certified and can clean or repair your Hunter Douglas blinds in house.